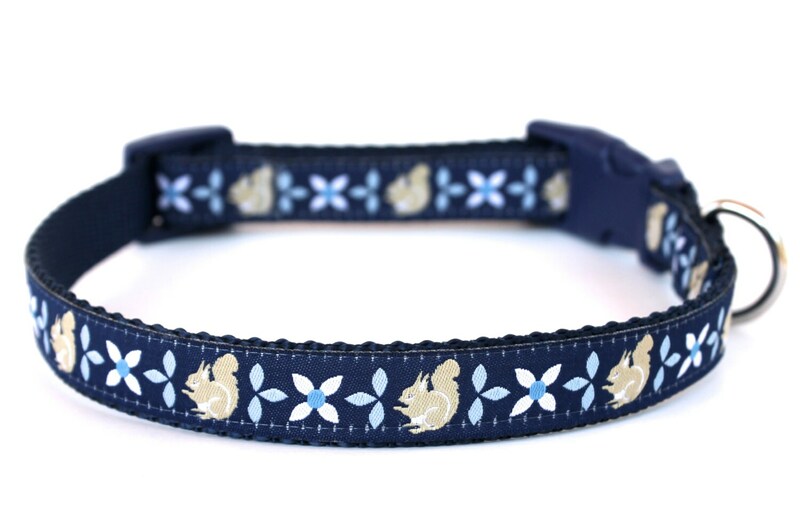 Navy Squirrel Dog Collar. 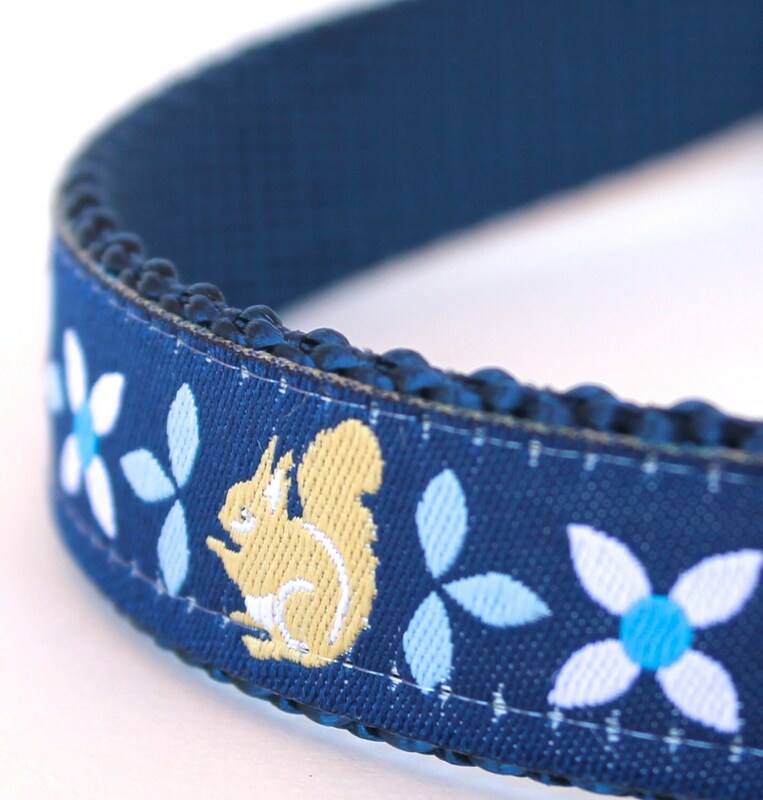 This adjustable dog collar has very cute German squirrel ribbon in a folk style on a dark navy blue background. It is placed on navy blue heavyweight webbing. *Pictured is a 3/4 inch width collar Example of the varying widths in last picture. *Production Time is 5 to 9 days. 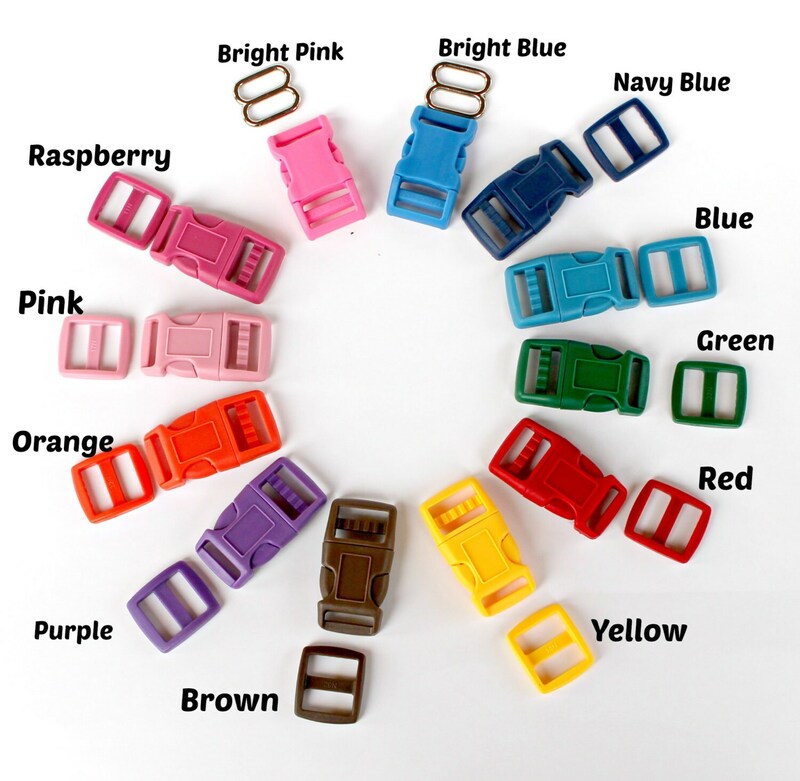 *Colors may vary per your computer monitor settings. 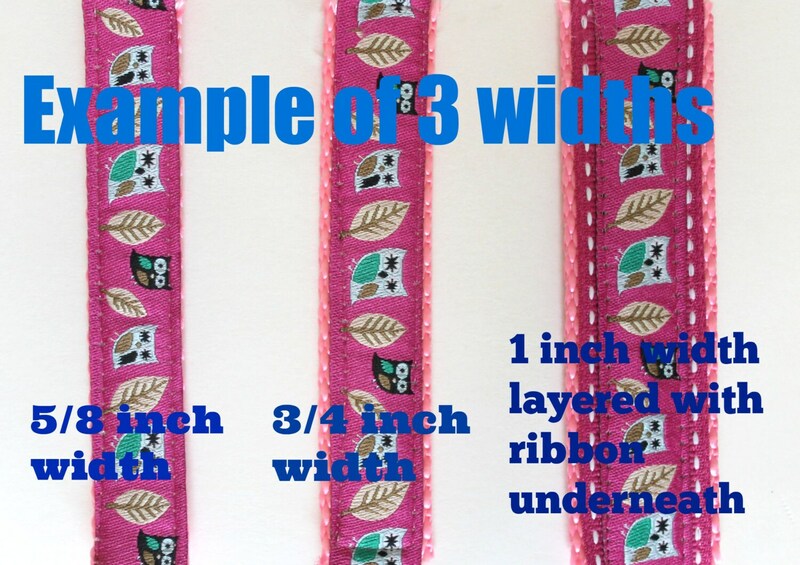 If you purchase a 1 inch width collar they will be made as in this listing with ribbon layered underneath the ribbon as in last picture above. 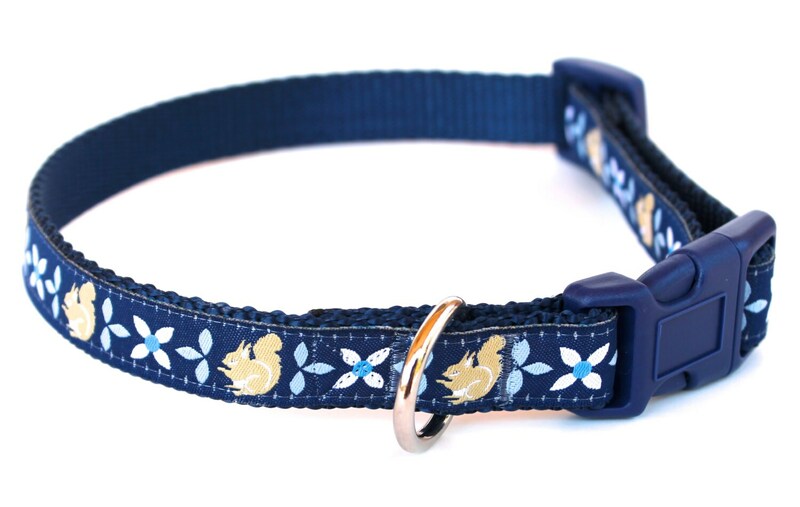 Collar is beautiful! Very well made. Can't wait to see it on my dog Christmas morning.